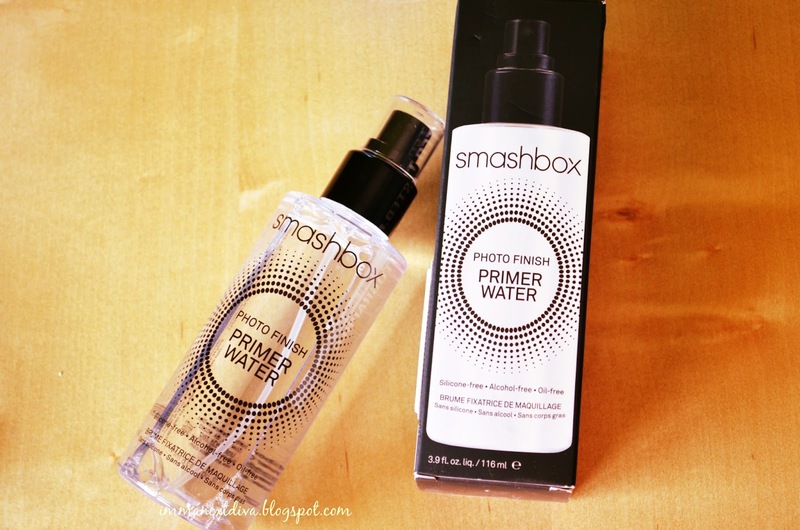 Review: Smashbox Photo Finish Primer Water | Is it Worth the hype? 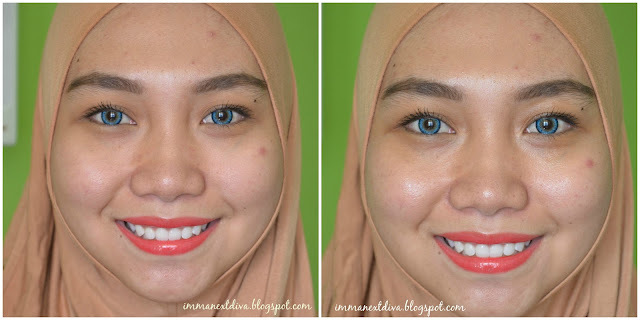 Assalamualaikum and hello my friends..
Today, I'm reviewing a new product that just landed in Malaysia beauty market around last month which is the Smashbox's Photo Finish Primer Water. mer water is free of silicone, alcohol and oil, but it’s packed with revitalizing electrolytes to wake up skin and restore moisture—like a supercharged energy drink for your skin. Passed through positive energy fields during the production process, our enriched water instantly absorbs into skin for lasting hydration (and when skin is hydrated, makeup looks better). Back in 2000, Smashbox founder and photographer Davis Factor developed our iconic Photo Finish Foundation Primer to help makeup look better and last longer on shoots. Fast forward 15 years and a new icon is born: Photo Finish Primer Water. It’s everything you love about the original primer in our lightest, purest, most refreshing form imaginable. From the silky-smooth texture of the original, to the super-fine mist of this new water, now there’s a primer for everyone. 4. Restores moisture and hydrates skin for hours—shine free! Hold bottle 8”-10” away from face and mist evenly. So what makes me dying to try out this product? First, the name itself. Photo Finish PRIMER Water. I am someone who is not put my trust and faith on primer AT ALL! Because I have very oily skin especially in my T-zone area. To me, primer for oily skin is just a gimmick! I've tried quite a number of face primer in Sephora from POREfessional, to Make Up For Ever, even the Smashbox's also I have tried. None of them keep my face matte throughout the day.. But, because I'm very prejudice and picky I just know that this product won't work for me. And guess what???? I'm right. This product does not work on super oily skin. Especially if you get so oily in your T-zone, and if you have large pores like I do. But, Because my skin is oily-combination my cheek area is absolutely onto the dry side. I normally got nasty lines after several hours wearing foundation, BB cream or whatever face base on my skin surprisingly, my foundation does not caked up at all when I used this product. It has the finest mist compared to all of my face mists and you can barely see it on the picture above. What I expected from this product? Of course I really hope this can hold up my face makeup on the oily side. However, like I already mentioned if you have oily skin, you can pass this product. If you have normal to dry skin, so yeah this is totally worth the hype. Unfortunately, for oily-skin baby, nope. Just nope. Oh did I mentioned the price is RM105 per 116ml/ 3.9 fl.oz.liq? I tried it again this morning as my makeup setting spray. OH MY GOSH!!! I'm so amazed. My skin is normally get so oily after 2 hours of application (especially on my nose area, total grease ball!) but today after 4 hours my nose area gets so oily for like 20% only. Very impressive. Overall, does this product worth the hype? Totally depend on you. If you are into makeup setting spray kind of thing, yes this product would be nice to sitting on your makeup vanity. Furthermore, if you don't mind to spend RM105 for a bottle of water from Sephora, yes you should try this product. - Does not hold my makeup [as a face primer] my skin still get so oily. I tried the smashbox photofinish foundation primer but still my skin gets oily after a few hours. Where to get this primer at ? I couldn't find any at the nearest store . HELP !!!! Do u know how much the photofinish foundation primer costs in sephora my?